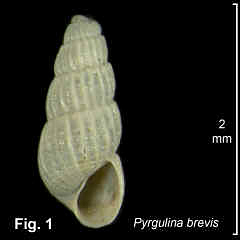 Description: Shell small, spire weakly convex, up to 5 teleoconch whorls, last whorl almost half total shell length. Protoconch infolded, type C. Teleoconch whorls rounded, suture well-defined. Whorls sculptured with strong axial folds, extending onto base of last whorl, with dense spiral threads in interspaces below top third of each whorl. Aperture length about 1½ times width, with moderately strong plait on columella (sometimes only visible deep within aperture); outer lip expanded anteriorly. Shell colourless-translucent becoming opaque white with age. Distribution: Endemic to Australia; Sydney, NSW, southwards and around southern Australia to SA, including Tas. Habitat: Specimens are from beach washup and from dredgings down to 11 m.
Comparison: This species is similar to Pyrgulina pascoei, but is much smaller. In P. pascoei the spiral sculpture in the spaces between the axials is present from suture to suture, but in the present species it is absent on the top third of each whorl. Synonymy: The Australian Faunal Directory uses the name Pyrgulina tantilla A. Adams, 1863, described from Japan and ranging into the Indo-West Pacific, for this species. 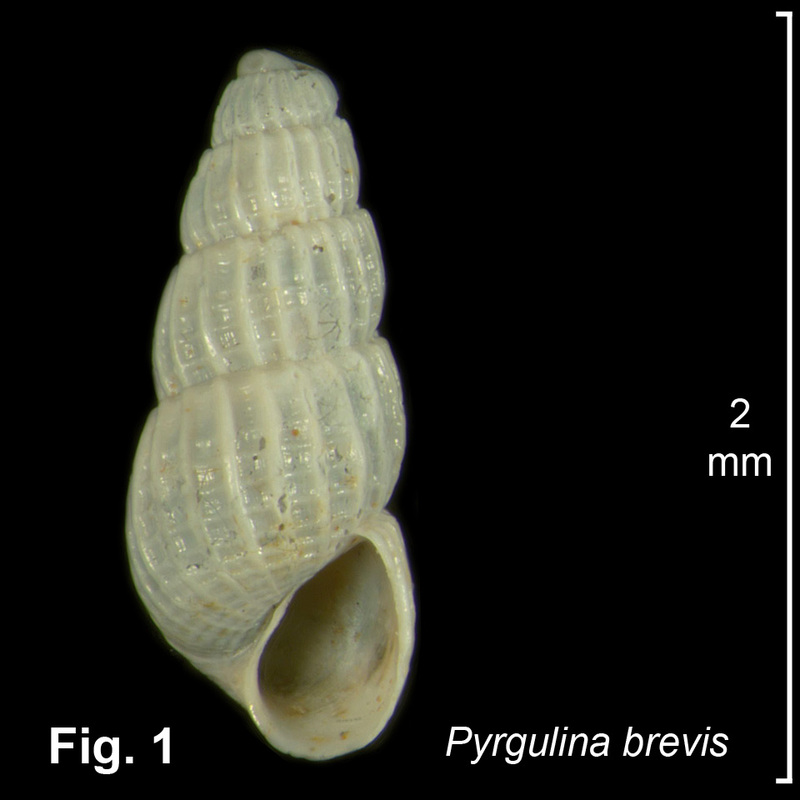 As there are no specimens presently recorded from tropical Australia to show a continuous distribution from tropical to temperate Australia, I prefer to retain Pritchard & Gatliff's name, which is based on a Tasmanian specimen, for the NSW shells. Fig. 1: Port Hacking, Sydney, NSW (C.340842).